Discussion in 'Lexus Lounge' started by krew, Nov 10, 2016. It's called the SKYJET, and it has a spindle grille. This is so cool! Lots of design cues from the LF-LC. The second picture Jalopnik has of the ship where you can see the sides and front is actually really cool. The ship as a whole looks like a shark crossed with an LC, and the spindle works perfectly there. Den, DOC4Lex and meth.ix like this. 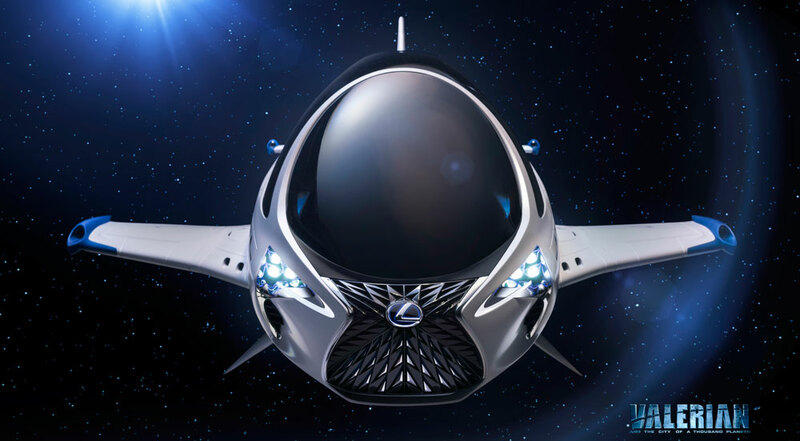 The Spindle Grille is about to go Intergalactic! A fun idea, but IMO it is kinda bizarre looking from the front. Kinda like an intergalactic pirrranha?